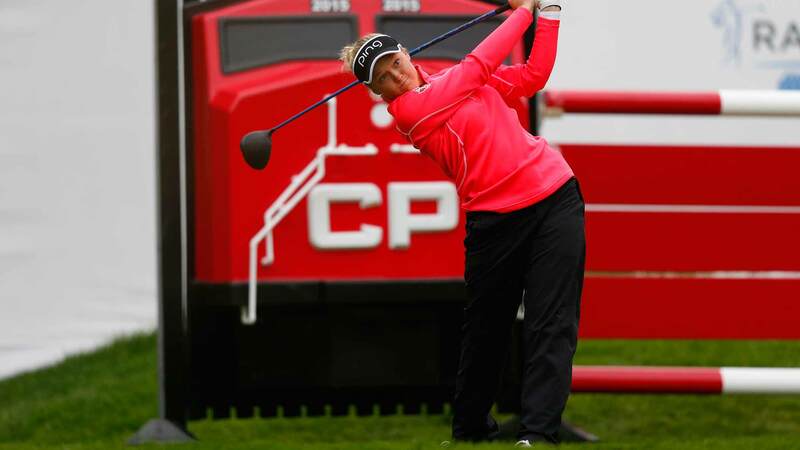 Despite an emotional week at the Solheim Cup, most of the contestants will join the better-rested players, who are coming off a week's rest, at the Canadian Pacific Women's Open. Eighteen of the 24 Cuppers are at the event this week. This event will be held at the Ottawa Hunt and Golf Club in Ottawa, Canada. The defending champion is Ariya Jutanugarn, who hopefully spent her week off healing from the injuries that seem to have derailed her over the last few months. Likewise, three-time Canadian Open winner Lydia Ko is looking for some better form at an event that must feel like home to her. You can (as usual) find Tony Jesselli's preview at his site. Also, Tony is at the event and has already begun posting pictures. From the preview page, just click his blog header to see them. For those of you who don't remember, this event used to be an LPGA major best known as the du Maurier Classic. (The 1999 du Maurier Classic is part of Karrie Webb's superslam.) This event remains one of the most popular on the LPGA. GC's coverage starts today at 10:30am ET and we're supposed to get three hours of coverage. It'll be a great lead-in to the Northern Trust this afternoon.